I was tagged by Ally L. Mare who had been such a darling internet friend (?). Just for the record, Ally, the Thailand movie you suggest is good but so gross! 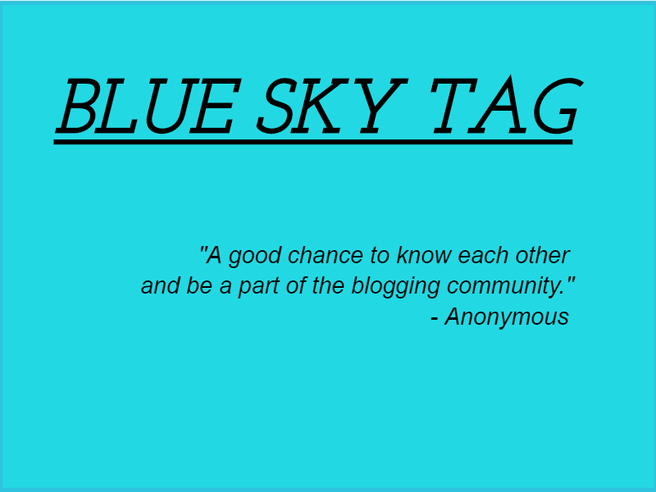 Who would have thought this tag thingy still vibrantly alive on Wordpress community? I gotta say it is by far a lot more fun than the tags Bloggers use to do like seven to eight years ago. Usually, the tags are used to make sure many people join a particular giveaway and etc which is boringggggggggg. 1. Thank the person who tagged you - Thanks again Ally! 1, What was the last book you read? Uswatun Hasanah by Haddad Alwi. It was in Indonesian but has been translated to proper Bahasa but I'm not sure who did it. I'm not really a reader but I hope I can achieve my Goodreads pledge. Pray for me! 2. What are you trying to achieve with your blog? I truly don't know. I do want more traffic and then made some money out of it but I never really put much work because I'm such a lazy bums. So far, it has been a mere canvas for me since I love writing. But this year I made some adjustment to make sure it has a proper vision - just check the About Me page. 3. Do you think you are someone with a sense of humor? This is so random but I gotta tell you guys that during the fourth year in degree, I have this two kinds of stupid jokes I love to make - the uncalled pickup line whenever my friend say something worth for one and anything to relate to my unknown and possibly dark future which do welcomes some laugh. Only some people can experience my sense of humor so I guess I'm not really a funny person. But I'm proud of my uncalled pickup lines. 4. Imagine 10 years ago. How does that make you feel about yourself now? I was 14 and I would totally at shock at myself how I ate and actually gain so much weight which might be due to my horrible diet and not exercising as much as I used too - more points for my 14 years old self to be mad at me. Don't tell her how I lost my stamina that she had built so diligently since I don't do my exercise anymore. AND STOP PICKING AT YOUR FACE. But most importantly, I think she'd be proud of how I have improved in term of confidence and generally at being a better me. 5. How would your friend describe you? How I would know that? Alas~ I texted my friends and about 15 minutes later I was thinking to tell them it's okay since I was going to just answer "How would I know that?" but they actually answer and I kinda promised that I'd put one of it. I ask them five traits of me, preferably the negatives one and she takes the challenge head on! 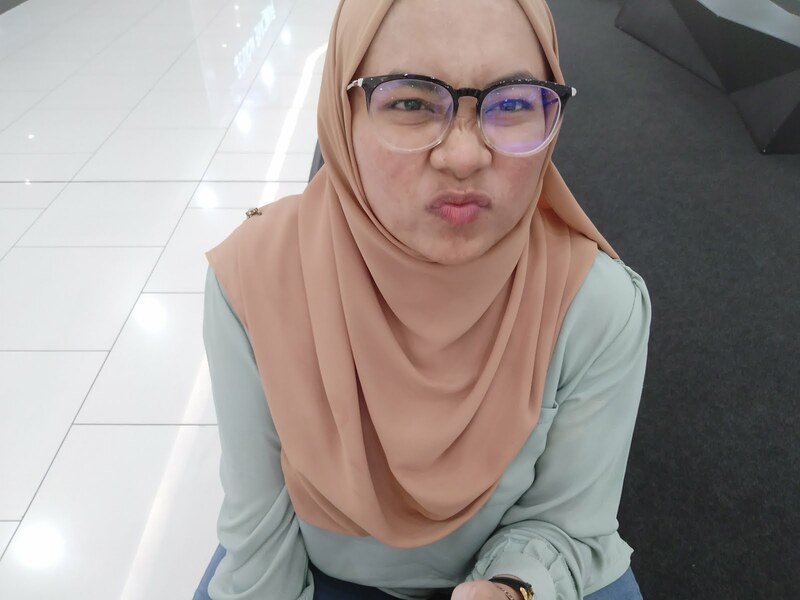 She says I am strict, a bit too pampered, lazy bums (told cha already), generous and loving (I bet this is to compensate the last one) and the last one is an utter joke. I am not a pengotor! Ok. In my defense, no one gonna swept the entire house every single day. 6. Do you have hobbies that others might find unusual? I do think if I tell them I blog at my free time is still a pretty unusual thing. We're such a basic crowd. 7. Have you done anything illegal? I'm pretty boring. Just some little stuff like skipping classes, pirating movie/songs/tv series and some parking tickets. 8. If you ended up being a prisoner, what likely to be the reason? Stealing. If not due to good morality and sins/rewards stuff, I'd guess that stealing would be something natural for me. I watch too many heist movies. Yup, I'm referring to you Ocean. 9. What most likely the thing that will get you angry? My siblings effortlessly making a mess when I put so much work into tidying it. I could be patience for so many things but this gets me ALL THE FREAKING TIME. 10. How do you handle yourself when you are angry? I know my siblings are wrong but how I become so angry is still beyond me. I would want to just correct them and not be totally blowing out fire through my nostril. Since now I learn that I get angry too easily with them, I'll try to be alert that I'm unreasonably too angry and just be silence while trying to calm myself. The usual drill, breathing in and out or try to sit down. But taking my minds off it always do the trick. Try to reason out why they do it and how being angry only fix the problem temporarily and calmly made them correct their problem and emphasize how it is wrong. 11. Best thing to eat when you are angry? At first, I wasn't thinking to tag anyone but reading back the quote about this tag made me rethink about it and I thought I should really just tag recent people who have comment on my blog because I want to know you guys. This is my most sincere inner voice. I excluded those who has participated in Sunshine Blogger Award. I hope you guys won't mind answering my questions. Pwetty please? I can't even get 11 person and this peeps is like two months punya comments okayy. It is official, my blog's traffic really is dead. We are re-using Ally's questions since I love it so much and Ally say he has no right over the questions so yay! I changed the first question though. Do you think you are someone with a sense of humor? Imagine 10 years ago. How does that make you feel about yourself now? Do you have hobbies that others might find unusual? Have you done anything illegal? If you ended up being a prisoner, what likely to be the reason? What most likely the thing that will get you angry? How do you handle yourself when you are angry? Best thing to eat when you are angry? No 2 is relatable. In a perfect world, I would post at least thrice a week, blogwalking daily and leave comments as much as I can but meh, I'm too lazy for that. High five - virtually via the internet. I'm trying still so Thanks for the wish! Thanks for tagging me! I love doing tags and I'll do the post real soon. My blog traffic is officially dead too, you are not alone hehe. That kinda made me feel good - ok jahat nya. Great answers! But whats with the (?). I'm lost. haha. I prefer cake, cake all the way! For forever, for me, friend is someone I know by hand which you are not but nonetheless you do have been quite a friend. Is that ok? Lol, we cound always settle for ice cream cake. Ah, understand. I would call that pen pal or internet friend! Not by letters but by this wonderful internet age with comments, email and online interaction. Ice cream cake is nice too! Haah, penpa, thats the term i'm looking for! Anyway, my dad do swept the entire house, everyday, twice a day. That's how cerewet he is when it comes to cleanliness. High five for #11 ! Heck, I eat ice cream whenever I feel all the feelings, lol. An ice cream once a day. Talk about dieting gone terribly wrong. Omg, such person exist. We need them in our house. I totally agre ice cream is the way to go, all occasion, all the time. Alaaa so sweet tag Mai, thank you Afifah! Jap amik feeling nak jawab jap. haha. Thanks for the tag afifah! hahaha I never thought that you will tag me this. yeay. 8 : Yes, stealing is natural and it's not really a heavy criminal. So I would do that as well. 2 : I'm trying to get some money out of my blog as well! I hope I can do it. Haha, for real same for stealing? We should really become partners. Maybe if we gets enough money from blogging we didnt need though. Lol. I'll be waiting for it! Hi Lenne, thanks for visiting! I agree with you, it totally does since we get to ask questions and stuff. but the criteria on tagging is quite different as in sunshine blogger award, i do get those wanting to award vibes during tagging it. Omg, that is fast. Thanks a million! tq for taging me afifiah. finally someone tag me. i make the challenge later ok, i give u my link after that. Aswaleyla your so awesome Thanks!